A Stump consists of a small portion of trunk and the roots and is the remaining part of the tree after the trunk has been cut down. 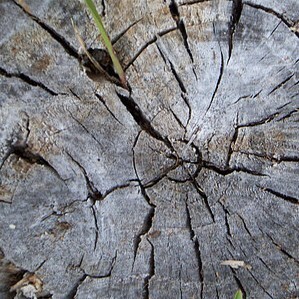 Looking at the top of these tree stumps, it is observable to see tree-rings which are used as a baseline to establish the age of the tree. These magnificent formations of nature can not only be used as discovery for the tree’s age, but can also be used as a texture that can add up an effect and spice up the design for your work.